The anime takes place in Osaka in "AD20XX," and revolves around the Hand Shakers partners who can summon "Nimrodes," weapons born from their deep psyche by joining hands. 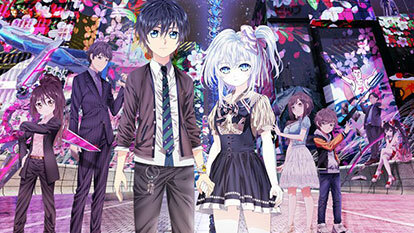 In order to grant the pair's wish, the Hand Shakers compete with and fight other Hand Shaker pairs. The top pair will then meet and challenge "God." "They, the receivers of the Revelation of Babel. They, the challengers to God. join hand and hand for the Ziggurat where the fighting shall ensue."